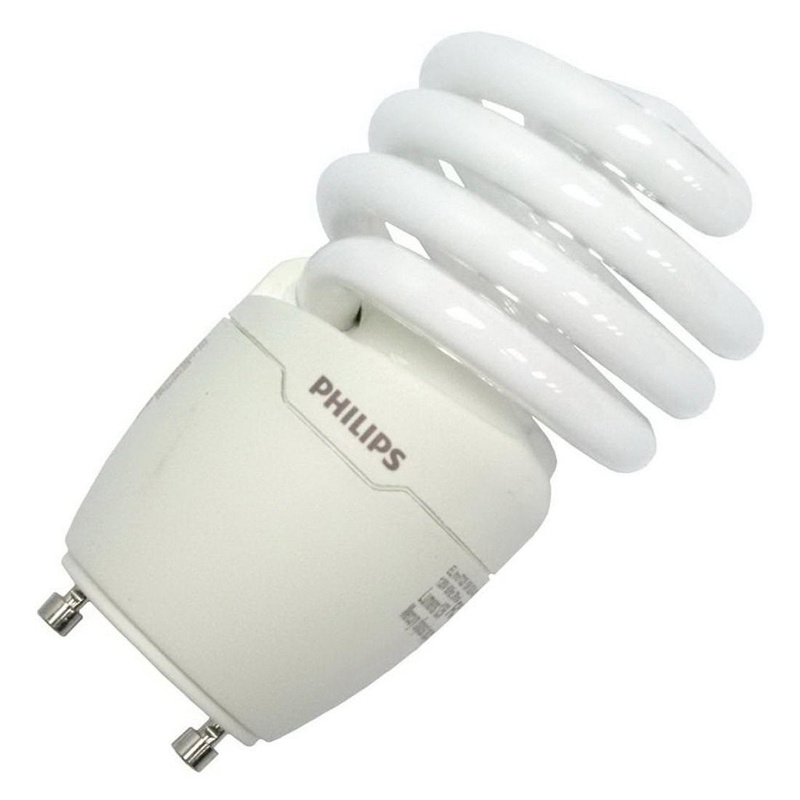 Philips Lighting Energy saver 18-Watt T2 spiral GU24 base compact fluorescent lamp offers 1250 initial Lumens for crisp light output. Lamp has voltage rating of 120-Volts. It has color rendering index of 84. Lamp with 4100K color temperature rating radiates cool white light to the surrounding. It measures 4-Inch x 2.2-Inch Dia. Lamp has average life of 10000 hours.